USA, a highly developed country, is home to several of the world's most exciting cities and mind-blowing landscapes with the most approachable natives in the world. One of the hallmarks of U.S. culture is independence. USA has a very advanced education system that varies greatly across the country. The United States attracts the largest number of international students, and rightly so. The US, with 16 institutions, dominates the world’s top 20 universities list. 52 US universities are ranked amongst the top 100 universities worldwide 77 American universities are ranked amongst the best 200 universities in the world American Universities welcome international students who have met their selection criteria. American Universities are definitely melting pots of diverse cultures, with the spectrum spread over more than 60 countries. At present there are almost 10,00,000 international students studying in different universities in U.S apart from about 160,000 Indian students. 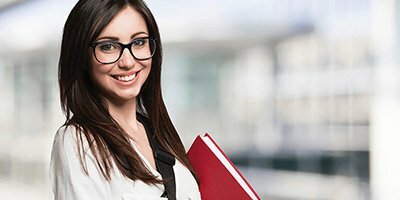 American degrees are highly regarded world over and give a cutting edge advantage to an individual while applying for a job. Climate varies considerably across the United States. You will probably need an umbrella, even in Las Vegas or Los Angeles. In the northern cities you will need cold weather and snow gear. In the southern states, summers may be very hot and the winters mild. Depending on the part of the country, temperatures during the summer will run from the 70s through the 90s..
Once you enrolled in the campus, there will be "The International Student Orientation Program," coordinated by the Admissions Office or the Office of International Programs. Information on many topics like immigration, academic advisors, computer and library resources, telephone services, public safety, medical services, banking and transportation options will be provided through this program. There are many transportation options for getting around in your new country. A bicycle or bike is affordable travel options for short distances. If you are living in a city, the bus system will likely be pretty extensive, as with most of the public transportation systems in large urban areas. Trains are good for traveling in the USA. They are slightly more expensive than traveling by bus, but it is much quicker. Taxis can be extremely expensive for students. The total annual expenses, i.e. fees, books, boarding and lodging will vary from $20,000 to $50,000 (Rs.13 to 35 lakhs) depending upon the universities. Majority of GEC students are placed in government supported universities that provide quality education, where the tuition fees are very nominal and applicants have high prospects of getting financial aids like tuition fee waivers, research/teaching/graduate assistantships. Having a bank account will be convenient for money transactions. Many college students appreciate the convenience of a MAC (Money Access Card) or ATM (Automatic Teller Machine) card. If you have an ATM card from a bank in your home country, ask whether the U.S. bank will honor it; some Personal Identification Numbers (PINs) cross national borders, while others do not. Credit cards and Debit cards are convenient payment options. They help to maintain good financial records and also serve to remind you of the money you spend. There are about 3500 universities in USA that offer the widest choice of over 1000 courses from any field under the sun. 90% of world’s Nobel Laureates teach in US Universities. We carry the space with you. The US has the largest number of universities in the world and currently has seven out of the top ten in the THES-QS World University Rankings - Harvard, Massachusetts Institute of Technology, Yale, Stanford, Caltech, Berkeley and Princeton. In total there are literally hundreds of public and private higher education establishments offering a range of courses that you could barely imagine. US Universities normally do not accept 3 years’ Bachelors degree from India like BA, B.Sc , B.Com for admission to their masters programs. Sixteen years of formal education or a four years’ Bachelors degree or Masters (MA/M. Com/MSC) with good grades (high first class or above) are the basic requirements for admission to MS programs in most US Universities. Apart from TOEFL (IELTS and PTE is also being accepted by many universities) students are also required to clear competitive exams like GRE/GMAT to secure admission and financial aid in good US Universities and also to secure visa without hassles. GRE is Graduate Record Examinations and is administered by ETS (Educational Testing Service) The test is essential for candidates seeking admission in a Masters Degree program in fields other than management are required to take the GRE. Most Universities require GRE for PhD. programs. The score of GRE has been generally valid for 5 years and the score is sent to 4 universities free of cost at the time of GRE exam. ETS charges fees for scores sent to universities later. GMAT refers Graduate Management Admission Test which is administered by Graduate management Council (GMAC) The test is required for admission into a MBA Program. The test fee cost $250. The score is generally valid for 5 years and the score is sent to 5 universities by ETS free of cost at the time of exam. Students can register for the test by phone, fax or online and visit the official website at www.gmat.com for more info. As majority of the US universities have earlier deadlines, it is highly recommended that You apply as early as possible. Applications can be initiated during final year/semester study of your course (students pursuing BSc/B.com can start applying as soon as you receive your S4/S5 mark lists and B.Tech students can start applying as soon as you get your s6 mark-lists. High school students (Higher secondary) can start applying with your 11th grades or projected grades of 12th). Our experienced application team will advise you with all required formalities such as Letter of Recommendations or Statement of purpose etc. as per the university's requirement to maximize the admission possibilities. There are several immigrant and non-immigrant visa options at USA and one has to choose the one that is applicable according to the requirements. The passport must be valid for at least six months beyond the end of your intended stay in the US. Immigration regulations are very strict with respect to working while carrying a student visa. F-1 status, which is the most common status for full-time international students, allows for part time, on-campus employment (fewer than 20 hours per week.) J-1 student status allows for similar employment, with similar restrictions, as long as permission is given by the exchange visitor program sponsor. M-1 visa holders for technical and vocational programs are not permitted to work during the course of their studies. To get the F-1 visa approved, the student will need to show that he/she has sufficient funds to pay for the first year of study and that you have resources available to cover the rest of your educational program. For an M-1 or J-1 visa, you will need to convince the authorities that you have sufficient funds to pay for all tuition and living costs for your complete stay in the US. Students are permitted to work 20 hours per week on-campus during the first years of study. In the second year students are allowed to take part-time jobs or co-op/internships off campus to fulfill academic or financial requirements. The on campus jobs do not pay much and certainly not enough to finance a university education. This kind of jobs can only be a supplement to other funds. Along with the acceptability and recognition of education, USA also offers the best in terms of future job prospects and immigration possibilities after studies. All students are entitled to stay back and work for one year period in USA under OPT (Optional Professional Training). For STEM Graduates(Science, Technology, Engineering and Mathematics) the OPT can be further extended to another 24 months (Total 36 Months). Students who are successful in finding a suitable placement canapply for H1B (Job Visa) during this period. There are few universities which accept 3 year degree students for Masters programs like MBA, MSCS etc. Is Earning While Learning A Reality? Yes, it is a reality. Most countries realize that international students have financial constraints and allow them to work for a minimum of 20 hours a week, which is enough to pay for students living expenses and sometimes enable him to save a part of the income also. Added to this is the benefit of tuition fee waivers / fellowships / assistantships which also reduces ones financial commitments. How Early Should One Start The Application Process? The first step towards starting the application process is to identify which semester you want to go for. You should start preparing for your pre-requisite test at least 15 - 18 months before the scheduled intake and it’s also advisable to apply 10-12 months ahead of the semester date.. If I Am Granted A Visa, Does It Guarantee Entry Into The USA? No. The Directorate of Border and Transportation security has the authority to deny admission to you at the port of entry, if he decides so. Also the Directorate of Border and Transportation Security officials initially determines the period for which you are authorized to remain in the US. The Form 1-94 issued to you at the port of entry notes the length of stay permitted. What Does Refusal Under Sec 221(g) Indicate? A refusal for student visa under this category, commonly means that the student did not provide sufficient documents to convince the visa officer or that certain procedure will have to be completed before the consulate officer can take the final decision. What Does Refusal Under Sec 214(b) Indicate? That the student has sufficient funds to meet his expenses and/or the travel is for legitimate purposes. Can I File My Visa Application With Any Consulate In India? No, for student visa you must either be a permanent resident of the area governed by the consulate where you are applying or should have been a resident of that area at least for the past one year. Currently, the US embassy allows residents of certain consulate offices to apply at other designated consulates/embassy, if getting an appointment in the respective territory is a problem. However one is advised to cross verify on the same, as the rules are subject to change. Does My Program Of Choice Affect My Visa Prospects? The program you have opted for should be in accordance with what you have studied and also enhance your career prospects here. You may have to be prepared to convince them, as to how will this program benefit you & the career prospects here. Certain programs are under the alert list warranting a background check. Hence if you have not applied well ahead, your visa application may not be cleared by the time your semester starts. If My Academic Records/test Scores Are Bad, Will My Visa Application Be Refused? Although the academic records and test scores do play an important role in the visa process, the officer at the consulate may still look at your application holistically and may review your profile, due to which you may be granted the visa. Does Academic Performance And Test Scores Matter? Yes. As the consular officer is going to evaluate your potential for further studies, through your academic background, it may influence the officer’s decision to a large extent. Likewise the test scores are also viewed quite seriously as they are supposed to demonstrate your ability to successfully pursue higher studies. Is It All Right, If A Company Sponsors Me? Yes. A Company can rightfully sponsor you for further studies provided it is permitted to do so by its Memorandum or Articles of association. Such sponsorship is deemed to be meaningful, only if one has gained enough work experience. The company on its part will have to provide documents about its financials and the reason behind sponsoring the student. Can My Relative, Friend Or Close Associate Sponsor Me? Parents being the natural sponsors, it is generally advised that they should sponsor you. However if any of the above is sponsoring, you may have to provide strong evidences in favor of them. Who All Can Be My Sponsors? Generally parents are considered to be the natural sponsors of a student. Grandparents being part and parcel of the Indian family system can also sponsor a student. If one has enough work experience, then the company who has employed the applicant can also sponsor. Yes, Bank loans are accepted as sources of funds for your study abroad purposes. However, the same to be in accordance to the annual income of the sponsor. What Sort Of Financial Support Is Expected? If and only if need be, the consular officer may call for evidences supporting your a)Ability to meet the expenses (Bank Loan sanction letter, Bank savings either SB or FD balances proof and other cash assets), b)Proof that additional funds are available to the family, c)Proof of annual income and /or d)Other documents as the consular officer may deem fit.